Give your newborn that deep color that makes it look so real. Much of a baby's color comes from underneath the skin. 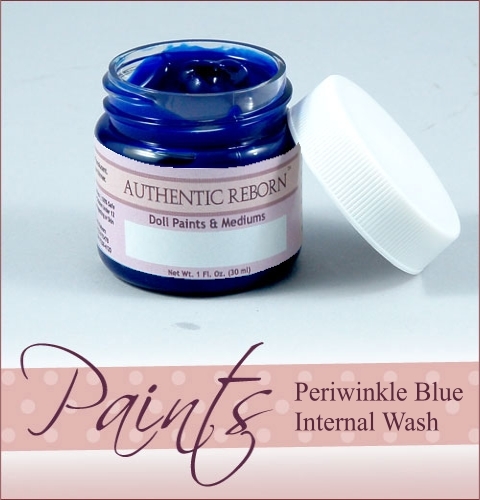 To simulate this effect Authentic Reborn has created this special paint mix. When applied inside the vinyl head and limbs properly it accentuates the deeper parts of the baby's features such as the inside corners of the eyes, mouth, ears, some crease and folds. Newborns are ever so slightly blue/purple and this color is designed for that effect. There's no guess work as this color is premixed for you.